This is a guide for the second part of the Rosewood mission which is called Central Heating. 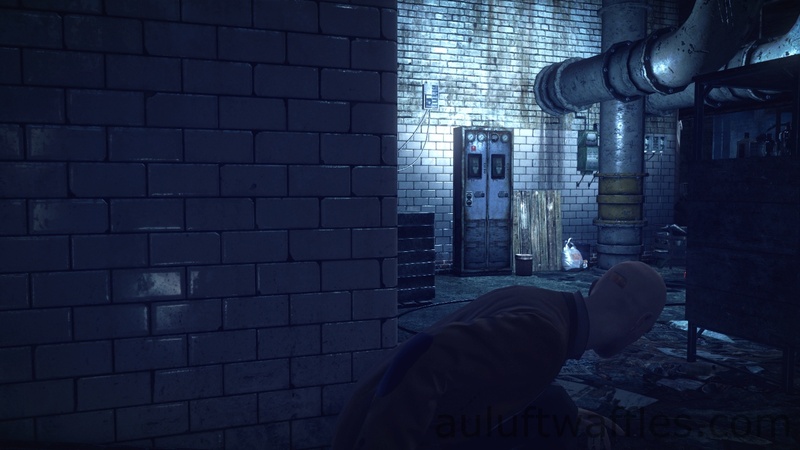 It explains how to get through the Central Heating area with the maximum amount of score by showing you ho to recover the evidence and get a signature kill on Wade whilst staying undetected on the hardest, purist, difficulty. 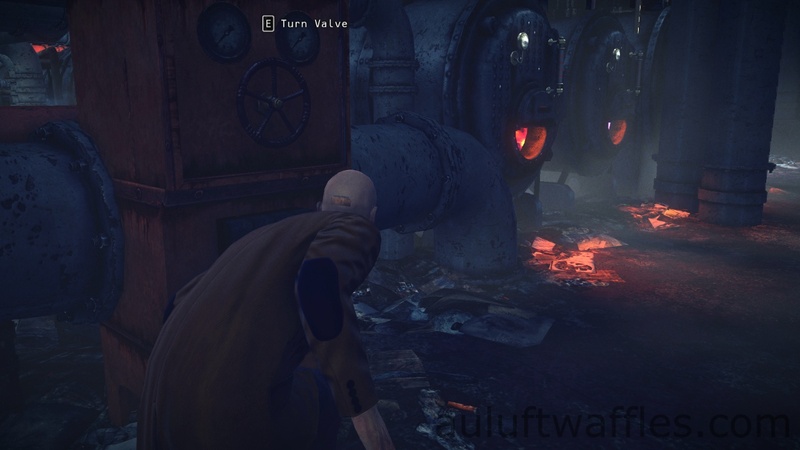 After you have completed all the challenges for the Rosewood mission and completed the Central Heating in the way this guide suggest you will get 229,950 score from the Central Heating. 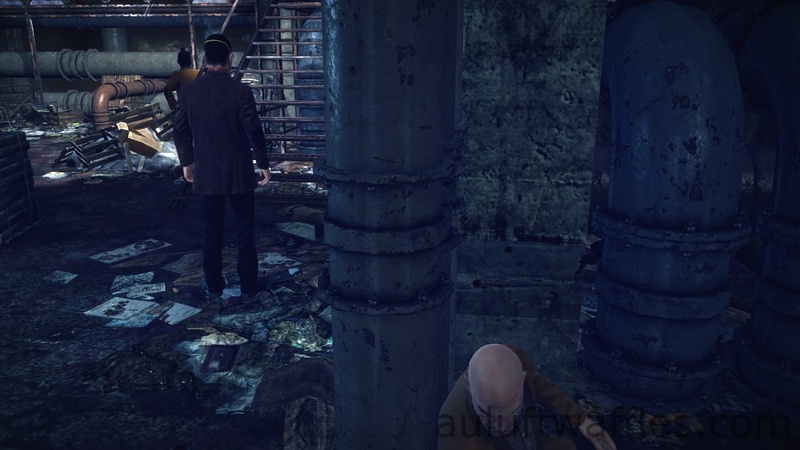 Wait for the guard that goes to investigate to be standing next to the cabinet, then sneak across the corridor and pick up the evidence off the top of the stacked stones. Turn it and you will get a signature kill on Wade. This is the only way to get a signature kill on Wade. It isn’t possible to get a silent kill on him or hide his body. Once Wade is done you will have completed the Central Heating area and will be done with the Rosewood mission. 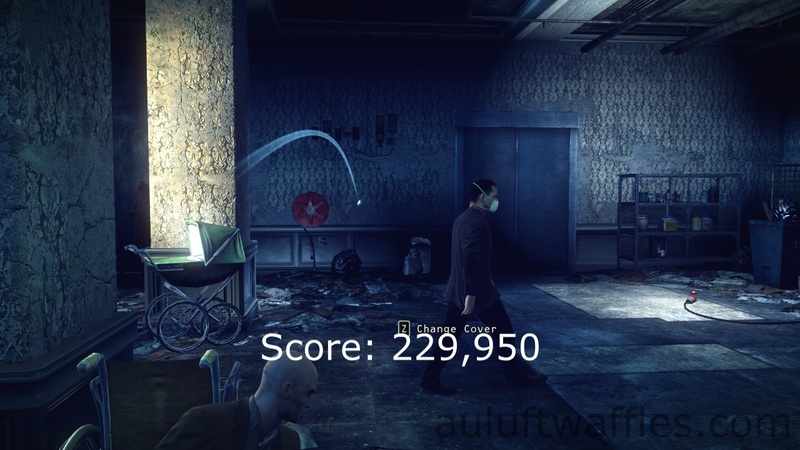 This entry was posted in Hitman Absolution Guide, Score Maximizing Mission Guide and tagged aulufutwaffles, Central Heating, Central Heating High Score, Central Heating Maximum Score, Central heating Purist Guide, Eliminate Wade, Eliminate Wade with Signature Kill, Games, gaming, guide, High Score, Hitman, Hitman Absolution, hitman Absolution Purist Guide, Maximum Score, Purist, Purist Guide, Rosewood, Rosewood High Score, Rosewood Purist Guide, Score, Score Maximizing, Score Maximizing Guide, Signature Kill Wade, Video Games, Wade. Bookmark the permalink.